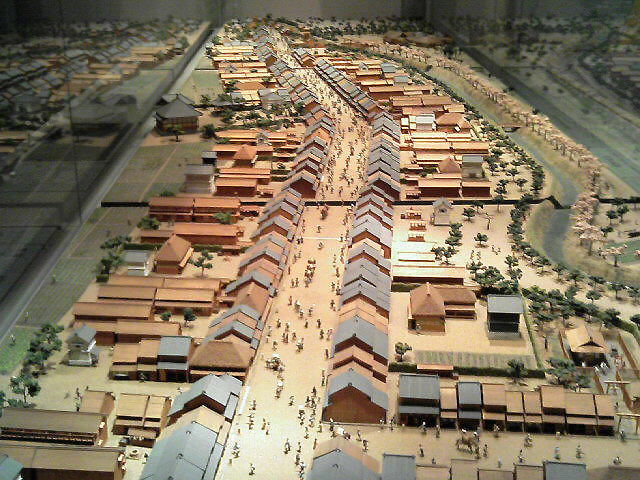 Literally meaning”new inn town”, Shinjuku grew out of a newly established post town in the late 17th century into the biggest terminal in Japan, with more than 3 million passengers every day. Shinjuku is one of the biggest commercial and entertainment districts in Tokyo with Kabuki-cho, one of the largest amusement districts in the east, and skyscrapers of office buildings on the west side of Shinjuku Station. 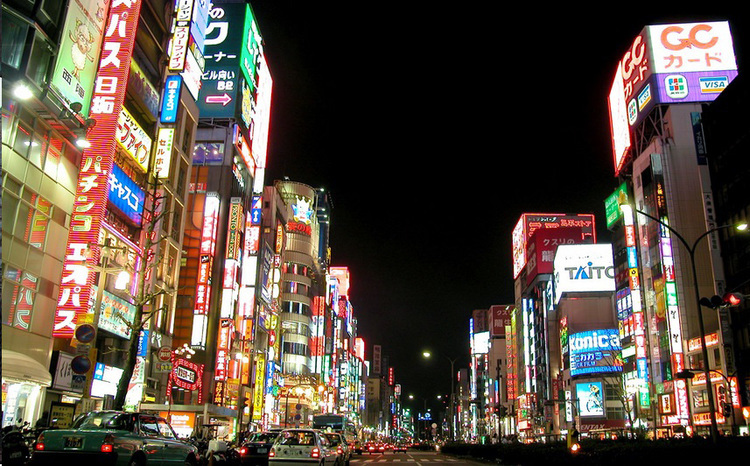 In the late 17th century, the area which is now called Shinjuku was developed as an inn town. The new town was named Naito-shinjuku, after the family name Naito whose mansion stood in the area. The residence of the Naito clan was later converted to a public park, where Shinjuku Gyoen Park now stands. Shinjuku, standing in a seismically stable area largely escaping the Great Kanto Earthquake in 1923, began to develop as a commercial district after the Earthquake. 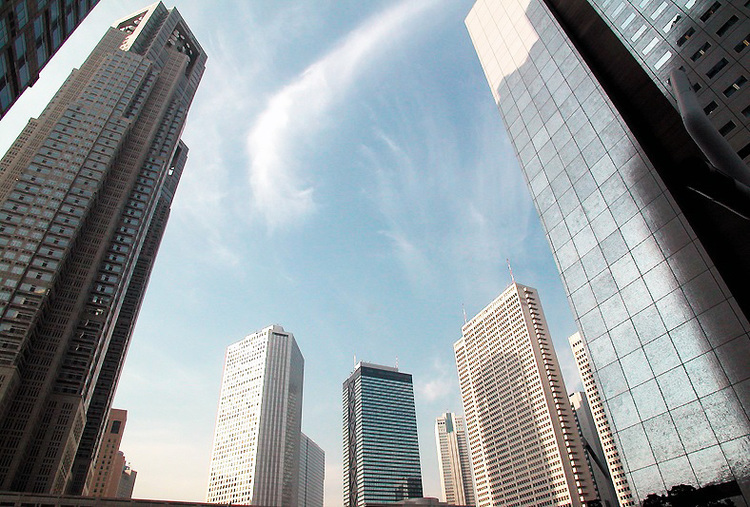 Consequently, West Shinjuku is one of the first areas to house numbers of skyscrapers in later years. Although Tokyo air raids in 1945 destroyed most of the buildings in the area, the town was soon rebuilt after the war. Since East Tokyo suffered from air raids harder than the western part of the city, the migration of people from east to west accelerated in post war years. 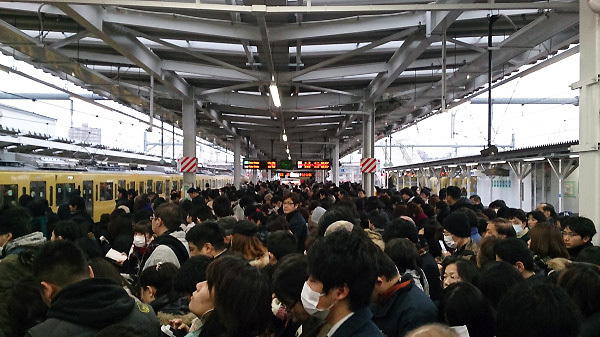 Shinjuku eventually became the biggest terminal station in the country, with an estimated 3.6 million commuters passing through it each day.